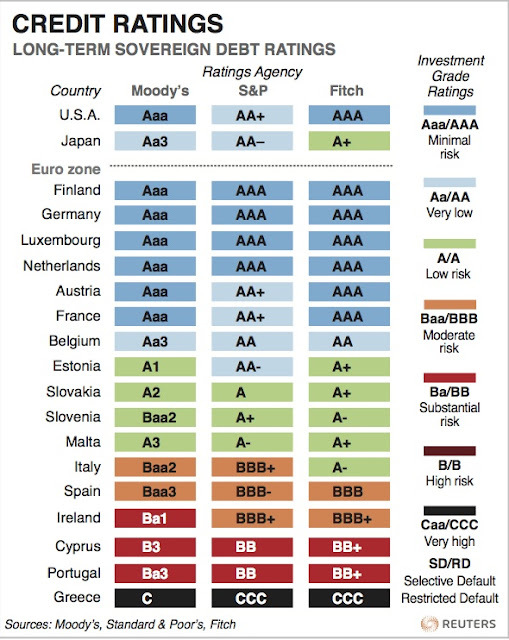 Thompson Reuters created this graph with the long term sovereign debt ratings for the Western countries. For the three major credit rating institutions the ratings are listed. Thank you for sharing! Glad to hear the post.